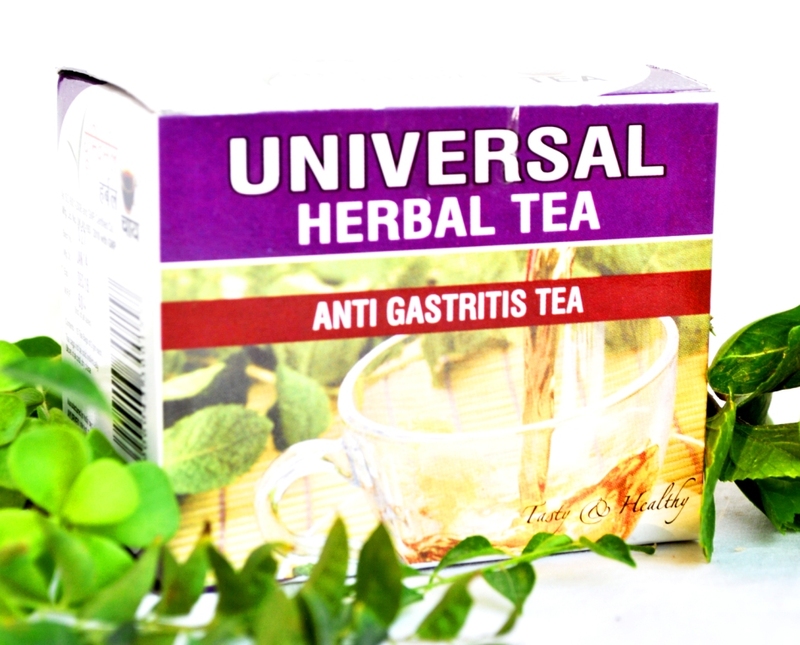 Universal herbal tea anti gastritis formula is a blend of useful ayurvedic herbs like terminalia, cinnamonum, tulsi, amla, saunth, foeniculum, chhoti peepal, Piper nigrum etc. All the ingredient herbs are carefully chosen to help in indigestion, dyspepsia, acidity, heartburn and other Gastro-intestinal problems. Dyspepsia and gastro-intestinal reflux has become a common problem due to stress and faulty eating habits. Regular use of Universal herbal tea anti gastritis formula saves from dyspepsia and serves as carminative and digestive. 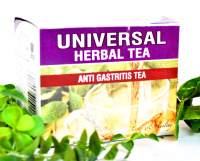 Universal herbal tea anti gastritis formula also helps to increase apetite and reduce acidity. Twice daily use of Universal herbal tea anti gastritis formula stimulates the gastro-intestinal functioning and saves from dyspepsia and indigestion. Being a herbal formula it does not cause any harmful side effects.